I have been off sick for the last three days with really bad sickness, feeling loads better today though just weak from not eating and drinking much. I was 12 weeks yesterday and I could not believe it. Peter bought a doppler for us it came yesterday but it went to the post office as I was asleep when it came so Peter is going to get it tomorrow morning I am soooooo excited. I really hope I get to hear the heart beating. Hope the sickness will subside soon. I have just given my doppler to my best friend who is 13 weeks and she heard it straight away - dont panic if you dont though as sometimes it can take longer to find. It cost about ? ?29 and it came next day which we were pleased about. I have not got it yet do you need to drink lots of water before hand or anything like that? I know I am going to be calm if I can hear it fab if not I will leave it a little while and then see. Can you really tell the differance between mum's heart beat and babies? I wondered where you were! Glad you're feeling a bit better today! Good luck with your doppler tomorrow, did you get an Angel Sounds one? We got ours when I was 13+5 and although it took awhile we did find the heartbeat. It is so much faster than your own that when you hear it you will just know! ps You don't need to drink anything extra before you use it! Ahh sorry hun was just to sick to get to the pc but so pleased I am feeling so much better. Yes we did get the angel sounds one I am soooooo excited it is easy to use? Cant wait till i reach the 12 week mark i hope it flys by!! Is it this week you have your scan? Hi K-Lou sorry u've not been well. was it an awful lot of MS or a bug do you think? Try and keep up your fluids hun. i hope u get to hear baby's heart beat. its amazing hearing it for the first time. it all suddenly sinks in. i got one of these on Wednesday, used it for first time when i was 13 +1 and could hear little Tick's heart beat. Spread the gel alo over my belly like jam on taod because was not sure where to look... but found him a few centrimeters under my belly button to the right. I've heard that you an hear the hb from 12 weeks and to lie on your back with your head raised as it gets you in a good position? Thanks goonie I will make sure I do that first. Mummyames - I am not sure maybe a bug as that was the longest I had been il for since falling pregnant. Just so pleased I am feeling better. I know I am so excited think if I hear the heart beating I will feel so much better about the scan next week. So sorry to hear you've been so unwell but glad your feeling a bit better today. im glad ur better too hun. its the worst feeling rough and being pregnant because you cant take anything and all you want to do is sleep! lol. I know the feeling! Hope u get the reassurance hun. I havent even had my scan appointment through yet. When did urs arrive? I hope it comes next week. Hope they dont leave it until the last minute as Im going away from 9th Feb to 13th Feb.
Yay you've got to the 12 week mark! Congrats! I've got the angelsounds too and to be honest i thought i was hearing my baby's heartbeat until 16 weeks when I really heard it and realised what I'd been listening to before was my own!!! I only seemed to pick my own up though at certain points on my tummy which is why I was convinced it was the baby's. But if you count how many beats there are, you will find yours is around 70-80 per minute (or 20 or less if you just want to count for 15 seconds) and the baby's will be double that, over 150 per minute and it will literally sound like a galloping horse or a train whereas yours will be like "wow-wow-wow"
Good luck with it. Keep searching if you can't find it initially, don't be afraid to push it quite hard on your tummy (it won't hurt the baby) and try tilting it different ways as that always worked for me. Faz - thanks for that I will make sure I lay down I really relaly hope I get to hear it I love the fact you can record it as well. Wanting baby - thanks honey I am so excited I think I will listen to my own first just to hear how mine sounds so I will know when it's the babies. 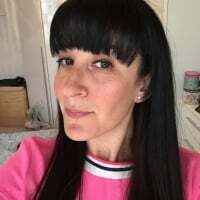 mummyames - I moved so it took ages for me to get with another dcotor and then get an app I was 11 weeks when I got my MW app and went in to see her and then was given my scan date at the same time I will be nearly 13 weeks at my scan. It will come through hun how far gone are you again? Thanks Moomin, Hubby was worried I would get all worried if we could not find the heart beat but I know how hard it can be so I have promised him and myself I wont worry...she says...the biggest worrier in the world. Hi k-lou, glad you are feeling better hun. Where did you order the doppler from I really want to get one! !